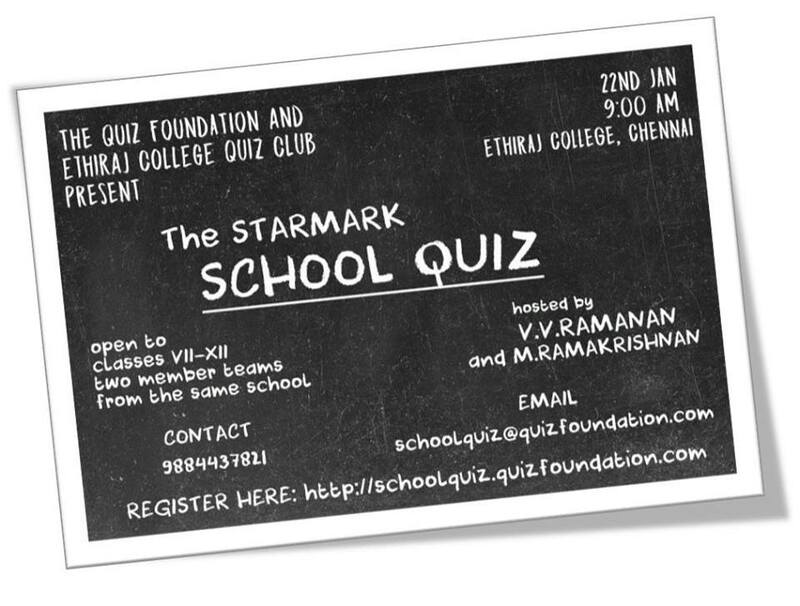 As part of our 30th Anniversary celebrations we are holding a Quiz Competition for School Students to be held jointly by the QFI and the Ethiraj college Quiz Club in Chennai on the 22nd of January. The event is sponsored by Starmark book stores and held under the auspices of the Murugappa Group. The Quiz will be conducted by Mr. V.V. Ramanan of The Hindu Young World fame. There will be attractive prizes for all finalists including shields / trophies for the winners and book coupons.